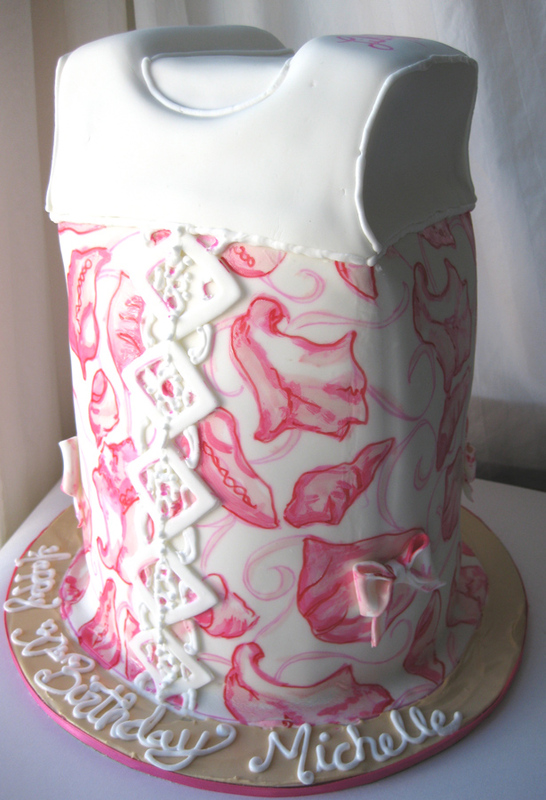 This was a surprise cake for a woman who loves the clothing designer Lilly Pulitzer. It is a replica of one of her dresses. The shell design is hand painted. 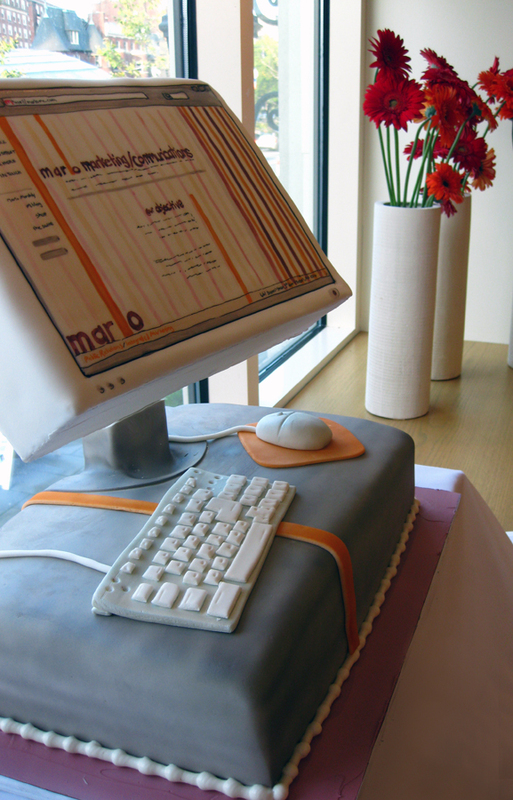 This computer cake involved some of our most complex construction yet. We built a special base to support the screen, which is made out of cake, and allow it to sit at that angle. This cake was to commemorate the launch of this company’s new website, which I painted on the screen. A surprise cake for a boyfriend whose business is the bottom logo, Stayclassy.org and who’s a big fan of all the Boston sports teams, (Celtics logo is on back). It was his 30th bday and the figurine is of him wearing his favorite shirt. All logos are hand painted. 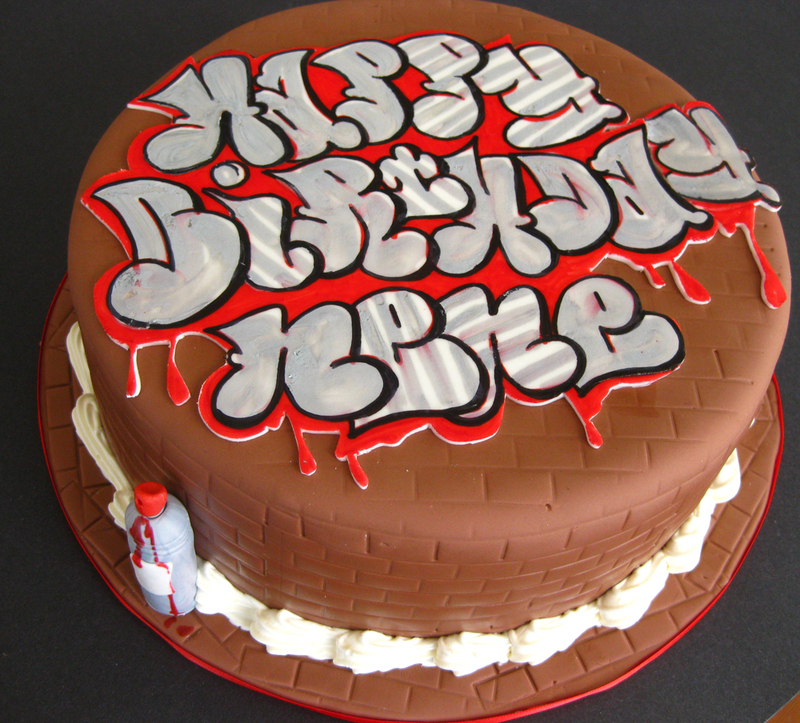 Birthday message written in graffiti lettering on a brick wall. Notice the evidence got left behind. 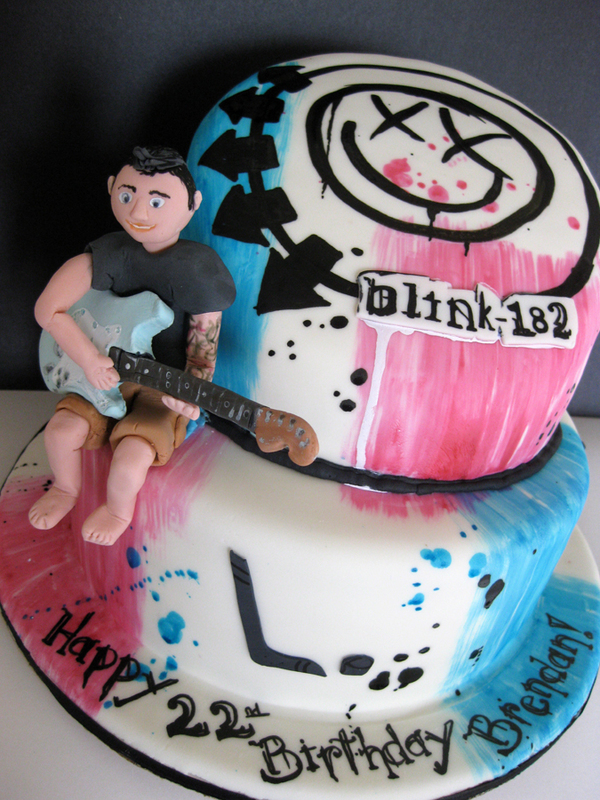 The Blink 182 cake was for my sister’s boyfriend’s birthday and it was awesome. Your cakes are amazing. The little figure that was a replica of him was spot on. You even drew in his tattoos. You are very talented. I wish you much success in the future. My sister and I live in Winthrop so we will definitely be ordering another cake from you soon. It really depends on how many servings you need and how many hours of decorating goes into it. Just give us a call and we can talk about how many servings you need and how you’d like to customize the design of the cake in order to come up with a final price for you. My daughter’s fiance loves blink-182 and I would like to surprise him on their wedding day which is not unti June 6, 2014. Are you still decorating cakes??? I would need only a regular sized cake- just for the happy couple!!! Yes we are a bakery located just outside of Boston. Give us a call with more serving and flavor details to place an order.